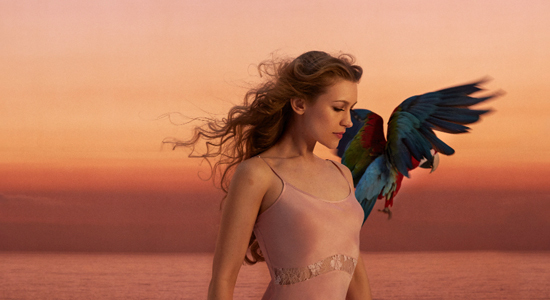 Joanna Newsom has announced the October 23 release of her first new album in five years, Divers, via Drag City … It’s A Holiday Soul Party is the first holiday album by Sharon Jones & The Dap-Kings, due out from Daptone on October 30 … UMe and Metropolis Studios will issue Public Enemy: Live From Metropolis Studios, featuring Public Enemy’s performance last year, on September 4 … On October 16, the Twilight Sad’s new album, Òran Mór Session LP (a collection of reworked tracks from last year’s Nobody Wants To Be Here And Nobody Wants to Leave), will be available via Fatcat … Two new releases featuring Jimi Hendrix are due out this fall: Freedom: Atlanta Pop Festival, a two-CD/two-LP package out on August 28, and Jimi Hendrix: Electric Church, a documentary film set for an October 30 release on DVD and Blu-ray. Both will contain footage from his 1970 performance at the second Atlanta International Pop Festival … Dr. John will release a 22-song collection containing a- and b-sides from all of his U.S. and U.K. singles, The Atco/Atlantic Singles 1968-1974, on September 18 via Omnivore … Mediac, the first new album from the Most Serene Republic in six years, will be available from Maplemusic on November 13 …. The 20th anniversary of Son Volt’s debut album, Trace, will be celebrated October 30 with the release of a two-disc deluxe anniversary edition via Rhino. Jay Farrar will perform the songs from this LP on a U.S. tour this fall … Light In The Attic will reissue Spooner Oldham’s 1972 solo album, Pot Luck, on September 18 … October 9 marks the release of the new Jesse Malin LP, Outsiders, via One Little Indian/Velvet Elk … Rare archive, live and studio footage, as well as brand new interviews, comprise Another Glorious Decade, a film featuring Van Morrison’s work in the ‘70s after his hiatus, due out September 18 … Marshall Crenshaw’s #392: The EP Collection is a compilation album featuring standout tracks from his vinyl EP series, set for an August 21 release via Red River … Music From Love & Mercy, the soundtrack to the acclaimed Brian Wilson biopic, will be released by Capitol on August 14 … Noneusch will issue an eight-LP vinyl boxed set, 10 Years Solo Live, featuring material from 19 Brad Mehldau performances, on October 16.